Lately I’ve been exploring Aion’s Awakened Legacy patch. It’s a massive revamp that’s removed huge swaths of content and reworked many aspects of the game. It’s not without its upsides, but many people are understandably upset by such an enormous upheaval. For those of us with deep roots in the MMO community, this is a familiar situation. Change in MMOs always comes with controversy, especially when it’s dramatic. These games are like second homes, and upsetting the status quo too much is a dangerous proposition for any developer. Change is an important part of any MMO. Bugs are fixed, classes are rebalanced, new content is added. All of this is well and good. A game that changes too little feels stale and lifeless. Virtual worlds must grow and evolve with time, or wither and die. But developers also have to be careful not to go too far to the opposite extreme. Just as MMOs need change to breathe new life into them, they also need permanence and continuity. This is what makes them feel like real places. This what allows them to feel like home. This, then, is the challenge developers face: They must change just enough, but not too much. There are no shortage of cautionary tales of the latter. Awakened Legacy is just the latest in a long line of controversial MMO upheavals. 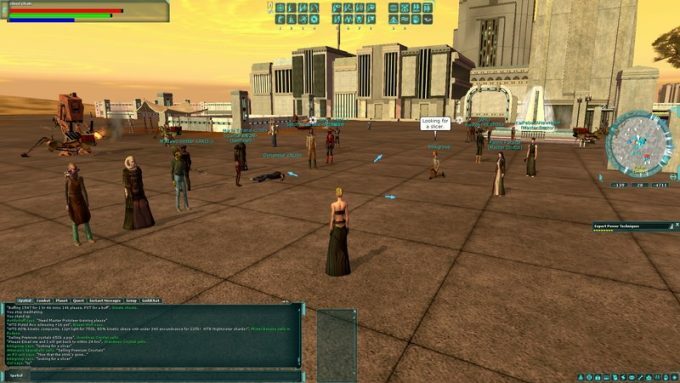 Star Wars: Galaxies has been shutdown for years, and the NGE is still a popular subject of discussion across the MMO community. World of Warcraft players are also all too familiar with the frustration that comes from too much churn. Blizzard has treated each of the last few expansions almost like a reboot of the whole game. New features are introduced with each expansion only to be abandoned before the next, and core class and gameplay mechanics are revamped so often and so dramatically it’s downright dizzying. One of my main WoW characters is a warlock. I’ve been playing her since Cataclysm, and in that time, the class has changed so much it’s essentially been three different classes: the version that existed in Cataclysm, the version that existed in Mists of Pandaria and Warlords of Draenor, and the version that exists now. Now, I really liked the Pandaria version. The new class it become in Legion is far less compelling. It’s really hampered my ability to enjoy the character, and it’s made me hesitant to become invested in new characters, as well. Why get attached if anything I come to love could be taken away from me on a whim? And that is how you know when an MMO has become too unstable in its design. If things change too much too often, it becomes hard to invest in anything. People won’t spend weeks leveling a character or grinding for a fancy reward if they fear they could lose all that they’ve accomplished overnight. That’s a very bad place for a player to be, but it’s worse for a developer. Developers need people to invest their time — and their money — in an MMO on a long-term basis. It’s what makes them sustainable as games, and as businesses. Any designer who ignores this is playing with fire. People who log into an MMO after some time away should feel like they’re coming home. It should be a recognizable experience, where things feel familiar and you know where to find everything. Done right, MMOs make perfect comfort food gaming. MMOs should experience change — sometimes dramatic, even shocking change — but it should never reach the point where the world or one’s characters feel totally unrecognizable. That breaks the sense of place and permanence that makes the genre work. This entry was posted in General MMOs, MMO Game Design, MMO Opinions and tagged Aion, Star Wars Galaxies, World of Warcraft on January 3, 2019 by Tyler Bro. When Is an MMO Really Dead? One of my favourite scientific mysteries is the debate over what constitutes death. You might think that’s a simple question to answer, but it’s not. People can be revived after their hearts stop, if too much time hasn’t passed. Even after the brain dies, some biological processes continue for some time, making death much less a hard line and more of a continuum. In the same way, it’s a lot harder than you’d think to define at what point an MMORPG can be considered a “dead” game. There is never any shortage of people willing to claim that any and every game is dead or dying, after all. If you want a creative way to commit suicide, try taking a drink every time someone on a forum claims WoW is dying, and enjoy your liver failure. But for every person declaring a game dead, there’s usually at least one or two still playing it, so can it really be dead? Let’s see if we can determine when, in fact, an MMO actually dies. A lot of times when someone says a game is dead or dying, really what they mean is that it’s in decline. Player numbers are down, and patches are becoming smaller or less frequent. That this is considered to qualify as “dead” really proves nothing but how hyperbolic some members of the community can be, even before we consider the fact that in many “dying” games the extent of the decline tends to be greatly exaggerated. No one likes a content gap, but it doesn’t a dying game make. Even in cases where the decline is real, I think we can safely declare that it doesn’t mean a game is dead. No product stays at the peak of its success forever, and a certain degree of decline is not cause for panic. At the end of its life-cycle, an MMO reaches the stage known as maintenance mode. No further development is planned; if patches come at all, they’ll only be minor bug fixes or other maintenance tasks. This is where things get a bit more debatable. A large part of what makes MMOs special is that they are living, evolving games that grow with time. When you cut that off, it ceases to function as an MMO in a very fundamental way. It also does the playerbase no favors. Maintenance mode ensures that few if any new players will join, and even loyal veterans are likely to start drifting away. Still, games can continue operating in maintenance mode for many years. Just ask players of the original Guild Wars. And if people are still playing and having fun, is that truly a dead game? For those who aren’t Chicken Littles proclaiming death upon a game at the slightest sign of trouble, the most obvious time to declare a game dead is when it officially closes. 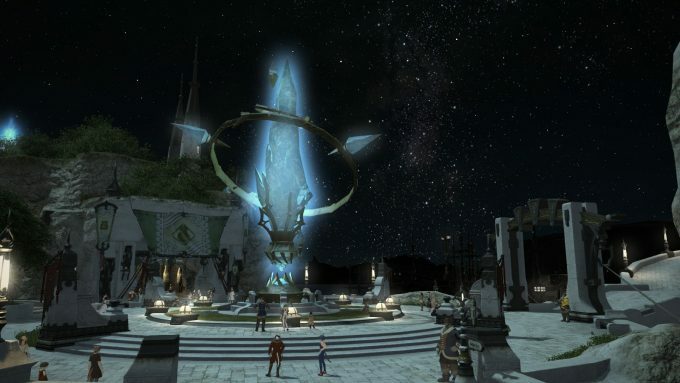 The servers go dark, characters people have sunk potentially hundreds of hours into are lost to the aether, mournful blog posts are shared across cyberspace, and loyal players are left to find a new digital home. A closed game seems pretty conclusively dead. Certainly the former players will go into mourning. And yet, even then, death is not always truly death. Formerly closed games sometimes return, perhaps under new publishers, though these resurrections tend to be short-lived. 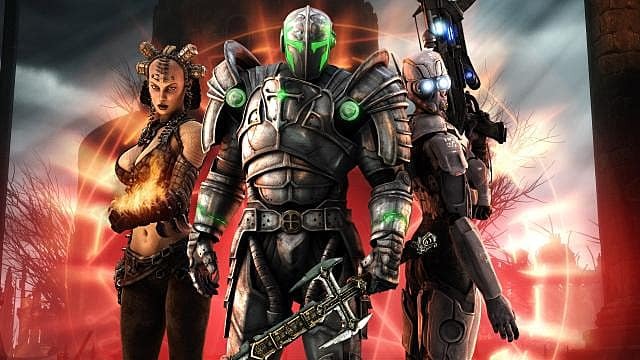 See the rollercoaster life cycle of Hellgate: London. 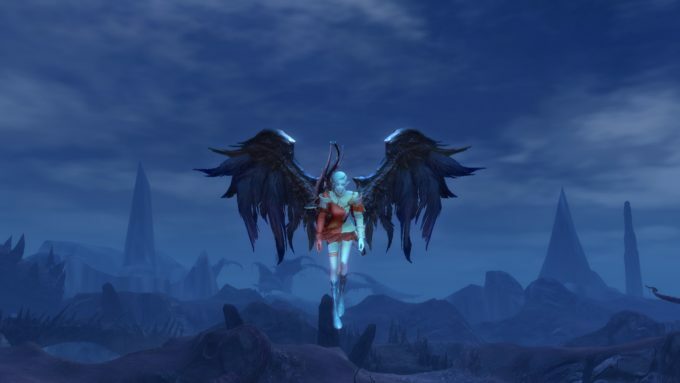 Even failing an official resurrection, MMOs can still cheat death following closure. This is the world of emulators, wherein passionate fans salvage old code to run private servers of their favourite games. The poster child for this phenomenon has to be Star Wars Galaxies, a game whose intensely passionate fanbase has kept its memory alive through a thriving emulator community. This, more than anything else, illustrates what a nebulous concept the idea of a “dead” game is. SWG fits the bill of a dead game better than most anything, having been officially shuttered for many years and being far beyond the hope of any growth or further development. And yet there are plenty of people playing it right now, as you read this. And again, if people are playing it, can you truly say it’s dead? So if even an official closure doesn’t always mean the end of an MMO, what is true death for an online game? I would say that a game is only truly and irrevocably dead when it has been erased beyond any hope of revival. When its assets have been utterly expunged from the digital world, and its fanbase has vanished or diminished beyond recognition. And in the age of the Internet, that’s spectacularly hard to do. Not impossible, of course — just ask the players of that Korean MMO that was deleted from existence a few years back — but given how hard it is to ever fully erase anything from the Internet, the odds of any MMORPG being killed beyond any hope of revival are surprisingly slim. And that makes all the hand-wringing over “dying” games seem all that much more silly. If you listened to the commentariat, you would be left with the impression that MMOs are fragile things, rarely surviving past their initial launch and under constant threat of disappearing, but the exact opposite is true. 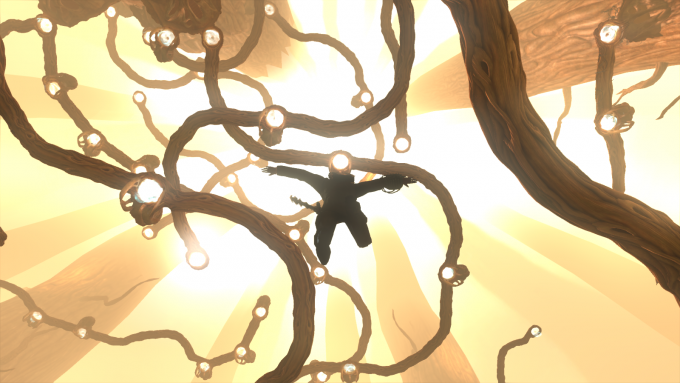 MMOs are, by and large, incredibly resilient, and extremely difficult to truly kill. That doesn’t make it less upsetting when a game you love begins to decline or even closes, but it’s something to keep in mind. If you worry for the future of your favorite game or wonder whether it’s worth investing in a new title if it’s not topping the charts, always remember just how hard it is for an MMO to truly die. This entry was posted in General MMOs, Life Lessons, MMO Game Design, Questions and tagged Guild Wars, Hellgate: London, Star Wars Galaxies, World of Warcraft on September 6, 2018 by Tyler Bro. The sad reality is that MMOs aren’t forever. Someone has to pay to keep the servers online, and as the years advance and revenues dwindle, it can become harder for companies to justify the expense. Even sadder are the MMOs that died too young. While it’s unrealistic to expect MMOs and MMORPGs to last forever, there’s often a lot of potential that gets left on the table with canceled or dead MMOs. For fans, it’s always sad to see a game go. They are cut down before their time, their players left adrift to dream of what might have been. Today, we’ll be taking a look at some of the most unique and beloved MMORPGs to have met a premature end. If ever there was a perfect setting for an MMORPG, it is the Matrix. A virtual world about a virtual world — it only makes sense. Its release came only two years after the Matrix trilogy ended. It was therefore surprising that it joined the ranks of MMOs that died in 2009, after only four years of existence. The creators of the Matrix films, the Wachowskis, even gave their blessing to declare The Matrix Online the official continuation of the story that began in the movies. Players were able to join one of three factions — the human rebels of Zion, the machines who control the Matrix, or the renegades of the Merovingian — and new story content, tailored to each faction, was delivered on a regular basis. Matrix Online had more to offer than a great setting, too. It also boasted a unique combat system based on both real time “free fire” and close-quarters combat in slowed down bullet time. The class system was quite flexible as well, with the three main classes being augmented by numerous sub-classes for a variety of roles. But despite the strength of its setting and its many interesting ideas, The Matrix Online was not a runaway success. The population, never huge, dwindled over the years, and the game’s production values took a nosedive. The story began to take some very questionable turns, further souring opinion of the game. Ultimately, the population bled down to just a few hundred people, and in 2009, after just four years of operation, The Matrix Online shut down for good. There was a final in-game event in an attempt to provide some closure to the story, but even that was a buggy mess, preventing many people from fully appreciating it. The Matrix Online now stands as one of the greatest examples of wasted potential in the MMO space. Voxel-based building sandbox Landmark was another game with a strange and tormented history. Originally, it was developed as a building tool for the much hyped EverQuest: Next. It proved so popular with its own developers that it was then spun-off as its own game, launching into early access. It languished in early access for a very long time, and even when it finally did launch for real, it was often plagued by polish issues and stability problems. Nonetheless, it was a game with a lot to offer. While there are other building games out there, none have ever been quite like Landmark. Its unusually high graphical fidelity and extremely easy to use toolset allowed most anyone to make true works of art. Conventional wisdom says that if you give players the tools to make their own content, the large majority of it will be terrible, but Landmark disproved that as a lie. 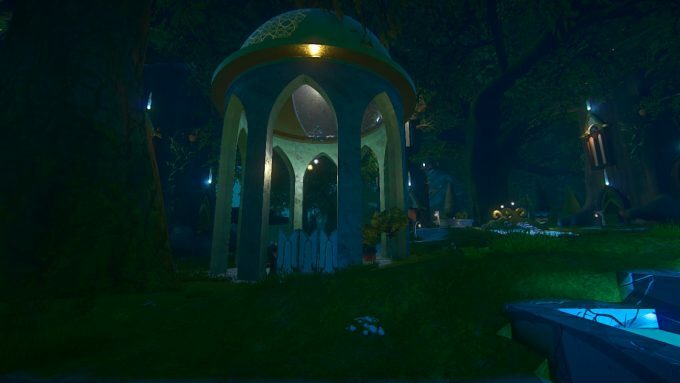 Nearly every build in Landmark was beautiful or fascinating, and every log-in brought new wonders to explore. But it was not to last. Daybreak put little effort into advertising the game after its initial early access launch, and worse, when EverQuest: Next was cancelled, the greater gaming community chose to take its frustrations out on Landmark, review bombing it and generally taking every opportunity to sully its name. Daybreak seems to be more associated now with old MMORPGs and MMOs that died more than releasing anything new or of note. Under-supported by its own developer and unfairly persecuted by the community at large, Landmark failed to find a strong enough audience, and shut down less than a year after its official launch, taking with all the amazing creations of its players. Unlike the other games on this list, it is still possible for at least some people to play The Secret World (without the aid of an emulator). But if it’s not yet entirely dead, it is at least mostly dead. With the launch of its reboot, Secret World Legends, it is no longer possible to purchase or otherwise create a new account for TSW, so only those who were already players can still access it. All plans for future content have also been scrapped, and the game’s population has cratered. It now seems only a matter time before the servers are shut down altogether. 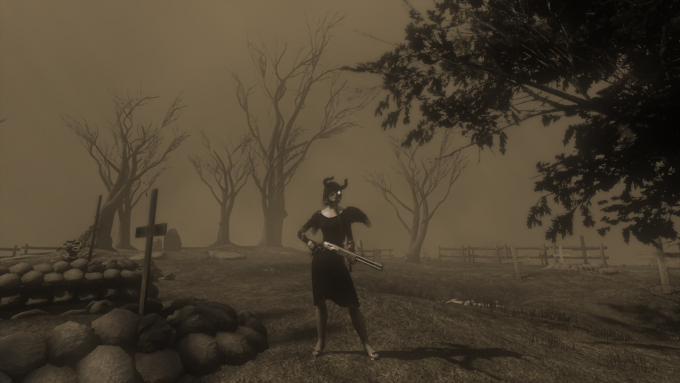 And that is a terrible loss for the world of online gaming, as over its five years of life TSW proved itself one of the most unique MMORPGs ever made. Its writing was impeccable, its modern setting was darkly fascinating, its missions were challenging, and its build system put an almost unheard of level of power in the hands of the player. But it always struggled financially due to poor marketing, a steep learning curve, and its mature subject matter. 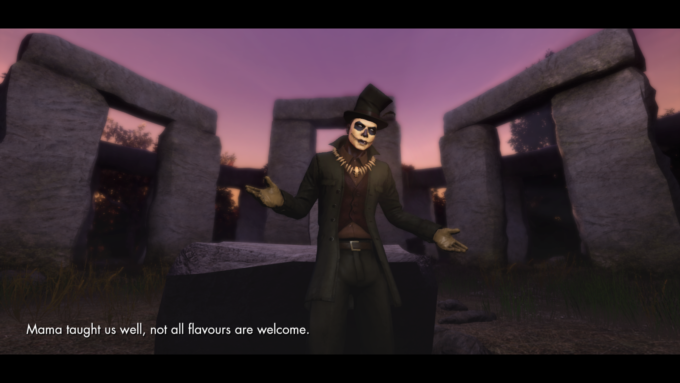 The reboot as Legends was a final attempt to reverse the game’s fortune’s, but I have my doubts over whether Legends can do any better than its predecessor, and even if it does, a lot of what made the original TSW special has been lost in the transition. 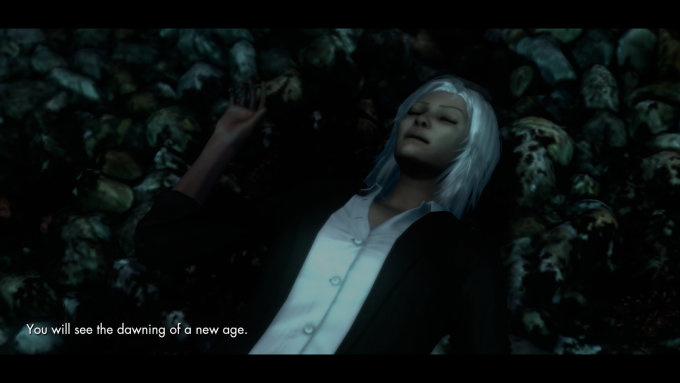 Many may view Secret World Legends as simply a F2P Secret World, but I assure you that The Secret World’s time is past and thus, belongs in the ranks of MMOs that died too young. Adding insult to injury is the dishonest way the entire transition has been handled. 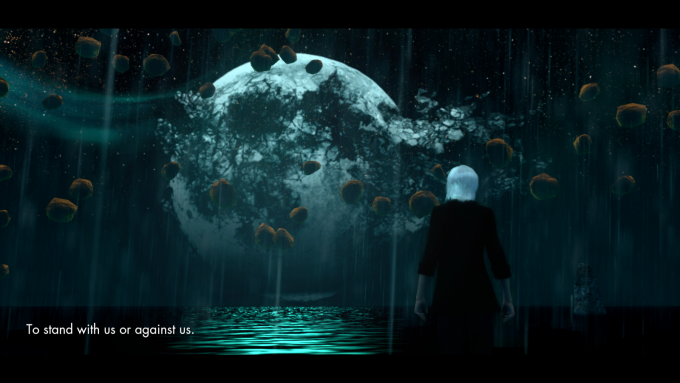 For months, fans were told that new content for TSW was in production, when all along the plan was to abandon the game in favor of the reboot. 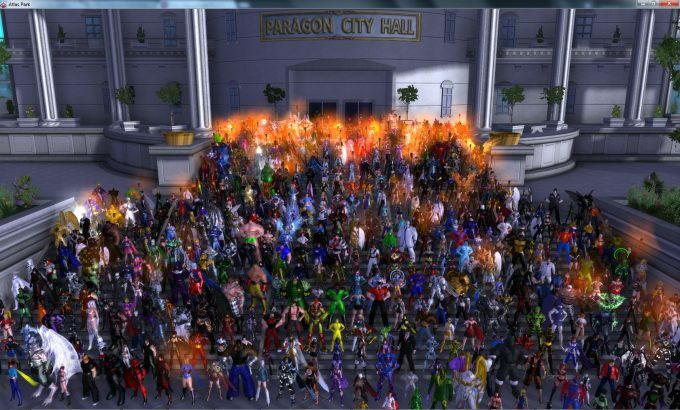 The closure of City of Heroes in 2012 sent shockwaves through the entire MMO community. It may not have quite been a household name, but it had always been well-regarded and respectably successful, and its sudden end was a sobering reminder of just how uncertain the future of any MMO can be. 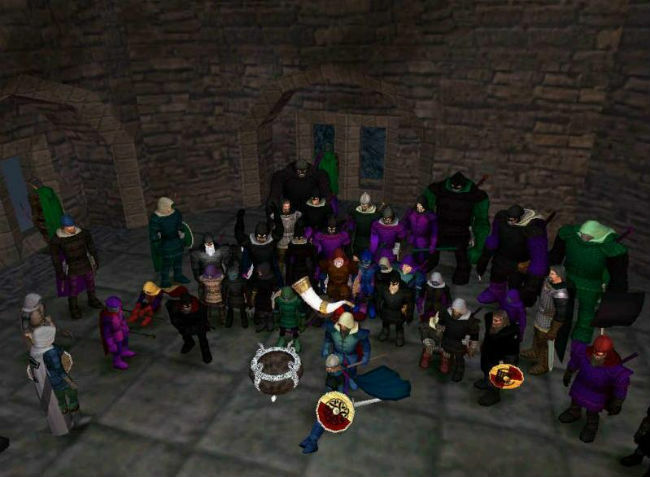 Over its eight years of life, the superhero MMO built up a modest but very tightly knit community and developed a uniformly positive reputation within the greater MMORPG space. Critics praised it, its players were passionate, and even those who didn’t actively play largely held City of Heroes in high regard. In a community infamous for negativity, CoH managed to emerge largely unscathed. That made it truly shocking when publisher NCsoft decided to close the game. Even finances shed little light on the decision, as all indications are that CoH remained profitable, even if only modestly so, until the end. For fans, it was a betrayal, and for many it permanently poisoned the reputation of NCsoft. Even for those who did not play, it was a stark wake-up call on just how capricious the world of online gaming can be. If a game as well-regarded as City of Heroes wasn’t safe, what is? In a cruel irony, many City of Heroes players chose The Secret World as their new home, only to be uprooted yet again a few short years later. The love for City of Heroes has spawned many crowdfunded spiritual successors, such as Valiance Online and City of Titans, but it remains to be seen which, if any, will survive to become completed games. 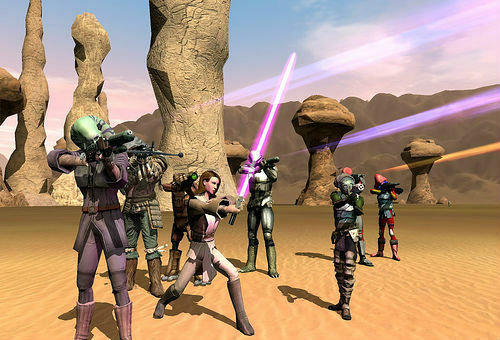 Star Wars Galaxies could almost be seen as the poster child for MMOs that died too young. I think for a lot of people it was the game that woke up them to the possibility that MMOs could end suddenly. Much digital ink has already been spilled on the saga of SWG, so you’re probably at least somewhat familiar with it. It was certainly not without its difficulties, as large-scale overhauls known as the “Combat Upgrade” and “New Game Enhancements” caused intense, divisive controversies within its community. Despite this, SWG remains an incredibly beloved title for many people, and is often held up as the paragon of good sandbox design, a game that offered the freedom to explore many different playstyles and still be a valuable part of the greater online community. Still, it wasn’t enough to save the game. 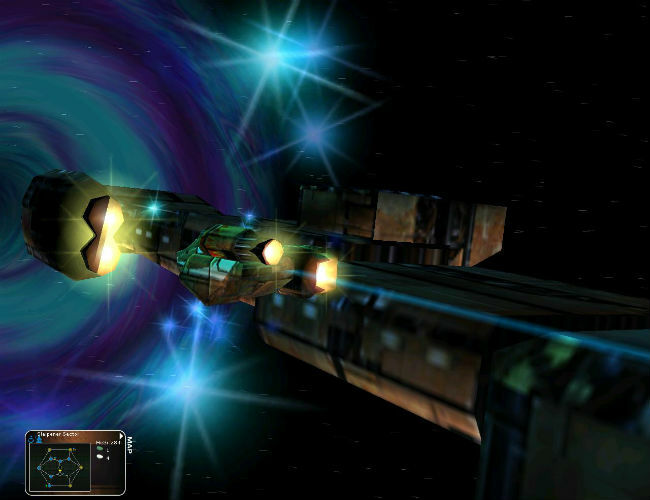 Star Wars Galaxies shut down with a final in-game event in 2011 after eight years. A clear answer on what exactly lead to SWG’s demise is difficult to come by, but it was likely due to the upcoming release of Star Wars: The Old Republic and the competition for players that would have arisen between the two games. Still, many years after its end, SWG remains a popular topic of discussion among the community, with a vocal if displaced fanbase. The continued love for SWG has spawned many emulator projects, so there is still an option out there to play it… or a reasonable facsimile thereof. If there’s a lesson to take from all this, it’s that you can never know for sure what the future will hold for your MMO of choice. So enjoy them while you can. MMOs slowly lose players to new games or simply time and their MMO deaths are inevitable. So my advice – don’t sweat the small stuff, and appreciate them for what they are, because one day you won’t have the chance. Unless you play World of Warcraft. That thing will be around forever. This entry was posted in General MMOs, MMO Retrospective and tagged City of Heroes, Landmark, Star Wars Galaxies, The Matrix Online, The Secret World on October 18, 2017 by Tyler Bro. Want only the past ten years? Skip to Part 2 (2006 – 2015). MMORPGs have grown to such heights now that they warrant their own category for year end video game awards. However, MMOs evolve to a much greater extent than games from other genres. An MMORPG’s full potential might not be realized until years after launch. It is with this thought in mind, and the fact that hindsight is 20/20, that we’ll be taking a retroactive look at the best MMORPG by year for the past twenty years. We’ll start in 1996, the first time that multiple graphical MMORPGs would release in the same year. Originally launched as simply The Realm in 1996, this cartoony MMO game graphically resembles old point and click style games like Quest for Glory. The Realm offered a surprising wealth of content in its debut year that included player housing, a 1000 level cap, multiple dungeons to explore, and a decent character creation system. The Realm Online’s most notable feature though is its turn based, tactical combat. Although most mobs aren’t terribly challenging, this style of combat added a layer of depth still not present in any many MMORPGs. It also lead to some tense, tactical PvP battles in The Realm. Of course, The Realm is pretty flawed too. After seeing all the heavily instanced world has to offer, there isn’t much else to do besides grind. There isn’t a real trading system either (only gifting or dropping items) so players hire middle men to facilitate trades, which has been abused by scammers. Yet it doesn’t compare to the “old days” where a lack of solid protection for players’ houses led to unintended burglaries or the gold duping exploit that massively inflated every item’s price. Despite being fixed, these issues sadly persist as the most notable memories of The Realm. The Realm Online seems to still be running. It was apparently sold to a group of fans several years ago, who have managed to keep it running but do little else to entice players. I thought for sure that Tibia would win its year, but there’s no way it could stand up to the legacy that is Ultima Online. Not only did Ultima Online bring the term MMORPG to the world (we were calling them graphical MUDs prior), but it also created the basis for sandbox MMORPGs. Players entered Ultima Online with a vision of their character and could match that vision surprisingly well. With skills ranging from magery to musicianship to animal taming, it seemed like the developers had thought of everything. The world itself teemed with life. Hell, you could even own a castle. Pretty sweet. The truly open nature of Ultima Online did lead to some serious player griefing though. Outside of towns, players were fair game and a lot of stronger players targeted easy prey. Since players would also drop all of their gear and loot on death, player killing could be quite profitable. Less violent players could sneak and steal items out of others’ backpacks. For victims, playing Ultima Online was probably akin to playing a shopkeeper in Skyrim. All the sudden everything was gone and you could barely react. 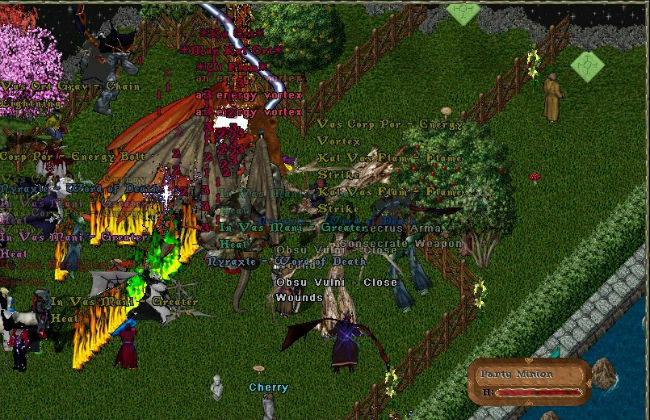 Eventually, Ultima Online split their servers between the PvP friendly Felucca and the carebear land of Trammel. It’s a decision that in equal parts killed and saved the game. The lack of a strong deterrent for Ultima Online criminals would have wiped out the player base, but the game also lost much of its unique “dangerous real world” feel. The most lasting memory for Ultima Online though is when a player killed the invincible Lord British, controlled by Ultima’s creator Richard Garriott. Ultima Online has withstood the test of time and to this day is still releasing expansions. I’m honestly surprised that Kru Interactive hasn’t made any new games. In the late 90s they gave us Nexus, Dark Ages, and Shattered Galaxy. All were pretty cool games, and all are still running. I guess the age of 3D is scary, but that’s fine. There are plenty of 3D MMOs out there from other guys. I was tempted to choose Asheron’s Call for 1999 because I personally enjoyed the game more. Ultimately, EverQuest’s lasting legacy proved too monumental to overlook. 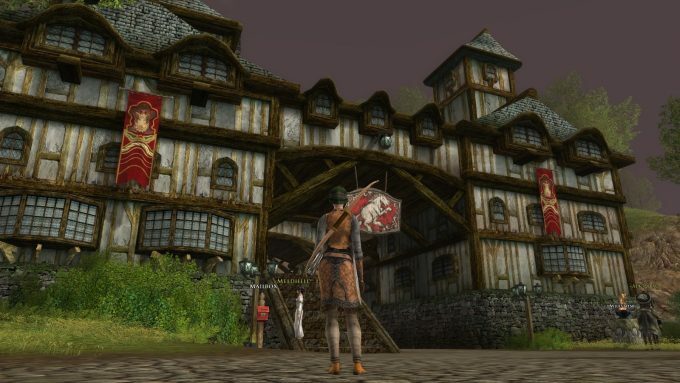 While developers were trying to figure out the magic MMORPG formula, it would be EverQuest that would leave the biggest imprint of the first generation MMORPGs. EverQuest’s success was burgeoned by their dedication to creating an atmosphere that resembled tabletop role-playing games such as Dungeons & Dragons. 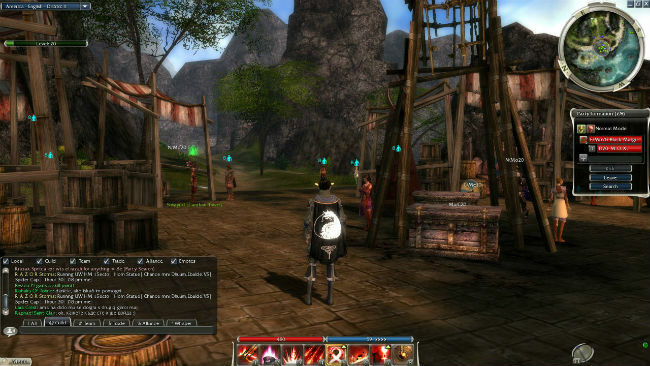 The game offered players mostly typical fantasy races and classes with a classic alignment system. Multiple varying server rulesets were enacted to center gameplay on a particular player activities. For example, the Vallon Zek server would go down as the first major factional warfare as one’s race dictated PvP status. Rallos Zek allowed bloodthirsty players to kill anyone, much like Ultima Online. Most importantly for EverQuest, this MMORPG offered players difficult PvE encounters and started the whole raiding thing. The Sleeper is perhaps the most famous raid encounter of all time since it took three highly geared guilds working together for hours to take him down. 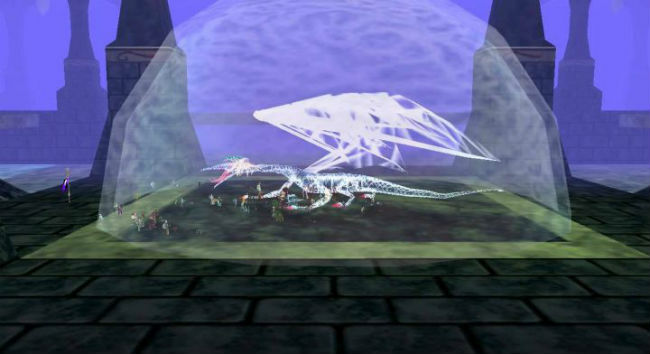 Players also regenerated health slowly after combat in EverQuest, which lessened the action but increased the social interaction. I don’t miss resting, but I lament the increasingly anti-social nature of multiplayer gaming since EverQuest’s MMORPG heyday. For many veterans, EverQuest is the best MMORPG of all time. Allegiance is a pretty cool game that was ahead of it’s time. Some might argue that the lack of a massive, persistent world (games are eventually won) disqualifies Allegiance as being an MMO. I don’t agree and perhaps more importantly, there were no other MMOs released in 2000. It sort of wins by default, but that doesn’t make it a bad game. The core gameplay revolves around one member of a faction playing the role of an RTS commander with their allies controlling individual ships. Maps are explored, buildings are built, resources collected, technologies researched, and eventually full on wars are waged. It was pretty complicated then without a great tutorial and no doubt partially caused the disappointing sales numbers for developer/publisher Microsoft. Although Microsoft pulled the plug on this pseudo-MMORPG long ago due to population, fans still run the game. EverQuest may have been the first MMORPG to implement faction warfare, but Dark Age of Camelot perfected it. Faction warfare in Dark Age of Camelot is referred to as Realm vs. Realm (RvR), unique from the free for all brawl that was simply PvP. In Dark Age of Camelot, players would enter the MMORPG by choosing one of three mythical races to represent. The combat system resembled EverQuest so players familiar with the venerable MMORPG and looking for more structured PvP could easily jump into Camelot. The primary focus for Dark Age of Camelot’s RvR has always been a 3-sided factional conflict. This maintains balance despite shifting populations. While one side may grow dominant, two sides can temporarily ally to turn the tides. Camelot, to this day, is simply the best MMORPG when it comes to epic castle sieges and territory defense. The population has waned, but the options for a true alternative simply aren’t there. I do want to give honorable mentions to RuneScape for showing that browser MMORPGs could be fairly legit and Anarchy Online, specifically for their hype machine. Anarchy’s promised a unique setting, and I loved the idea of a neutral faction. The video below got me hyped beyond measure for the sci-fi MMORPG. Unfortunately, Anarchy Online disappointed in a huge fashion and clearly released too early. It would eventually became a good MMORPG, but it’s launch would go down as one of the worst in MMORPG history. Luckily, Dark Age of Camelot would come to the rescue in October 2001. 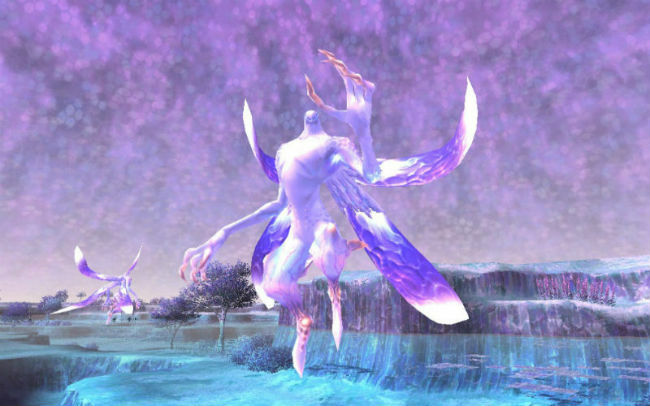 Although not released until the following year in the US (along with Korean competitor, Ragnarok Online), Final Fantasy XI put PvE players to the test. EverQuest required grouping, but players could advance eventually by playing more casually. Final Fantasy XI scoffed at the idea. Not only did Final Fantasy XI require grouping, it required coordination. The game did not shy away from grinding, but did reward players with greater EXP bonuses for chaining mobs in quick succession. Although grinding mobs was all the rage until World of Warcraft’s release, Final Fantasy managed to create a rewarding system for the repetitive activity. The familiar Final Fantasy setting, with chocobos and all, also helped to draw players in. The raids and end game bosses of Final Fantasy XI required not only high end gear, but high end skills too. Whereas most of EverQuest’s high end encounters were designed to be defeated if properly geared, Final Fantasy XI couldn’t care less. To this day, Final Fantasy XI has yet to be surpassed in the difficulty of it’s PvE encounters. It’s unlikely that it will be as providing content that only a fraction of the population will see isn’t good business. Eve Online is to PvP what Final Fantasy XI is to PvE. To this day, Eve is still the premiere open ended PvP system. Corporations ran by actual players fight over areas of the galaxy in order to obtain resources to grow further. Fleets of hundreds engage in battles with similarly sized opponents. Politics and espionage are another layer on the complex cake that is Eve Online. Not only did Eve Online present its players with an MMORPG that boasted sandbox freedom, it also introduced a unique skill progression system. 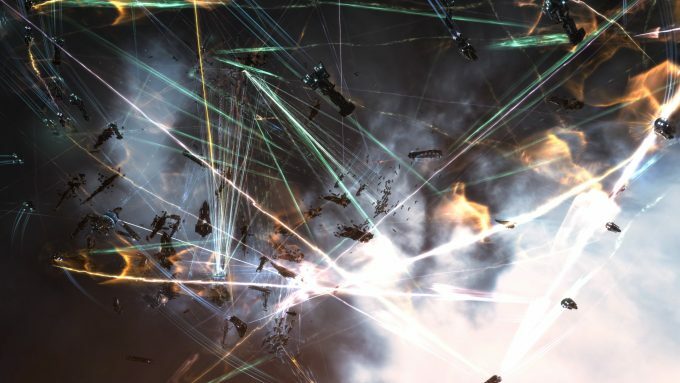 In Eve Online, skills are learned in real time whether online or not. Want to master a particular type of battleship? Just wait a month. This concept allowed players to further engage in the content they wanted without worrying about grinding for levels. Finally, Eve Online also did away with the common practice of multiple, split servers. 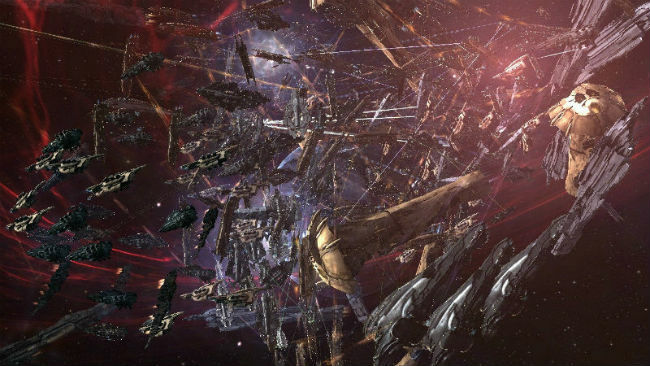 Upwards of 30,000 players can still be found playing Eve Online simultaneously to this day. Max player counts of individual World of Warcraft servers occupy a fraction of that. The audience is relatively niche compared to mainstream MMORPGs, but is loyal and dedicated. There’s simply nothing quite like Eve Online to this day. That it’s still running and a better game than ever 13 years later is a testament to that statement. I mean. Duh. Of course it’s World of Warcraft. 2004 would go down as the most important year for MMORPGs since 1999. It saw a couple other AAA MMORPGs releasing in EverQuest II and City of Heroes. Interesting titles such as Saga of Ryzom, Vendetta Online, Metin2 and Knight Online also debuted. But everything paled in comparison to Blizzard’s behemoth MMORPG. 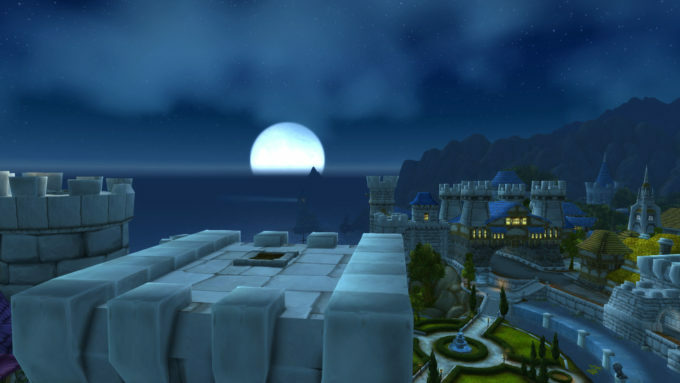 World of Warcraft took the popular MMORPG formula and perfected it. 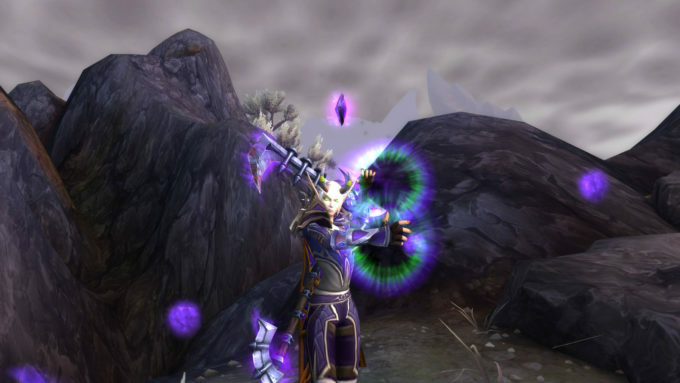 Blizzard’s only truly unique contribution to the MMORPG genre was the implementation of quests as the primary method of leveling up. 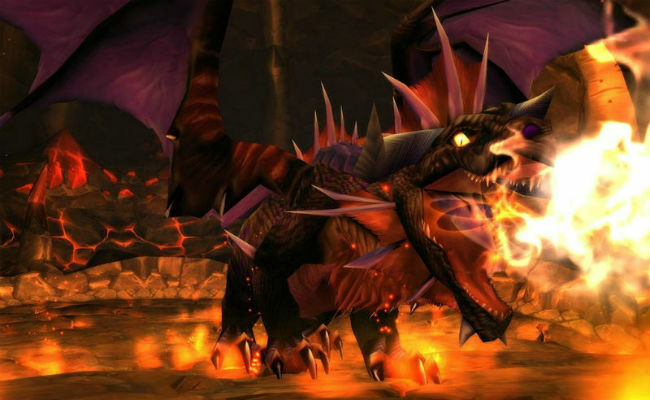 Until 2004, quests were largely an afterthought in MMORPGs. They were either too obfuscated or too few to be used as a form of advancement. World of Warcraft changed that and set a precedent for the importance of questing in MMORPGs. We even did a feature on MMORPGs with the best quests. You might notice that World of Warcraft is the only game listed that released before 2007. World of Warcraft didn’t simply rely on quests to draw in millions of players though. Blizzard polished their first MMORPG to the nth degree. The art design is fantastic, the classes are interesting, grouping became useful instead of required, and the game truly brought the Warcraft universe to life in a virtual world. Is it the best MMORPG of all time? That’s debatable, but, it is certainly the most influential due to its wild success. The original Guild Wars was built on delivering a near immediate endgame with long term horizontal progression, heavily instanced content, and no subscription fee. All four of these defining features things were brand new to the MMO space and have surprisingly inspired very few similar combinations. The maximum level in Guild Wars is twenty, which can be reached in one day. From there, the primary method of advancement is learning new skills through completing various missions. Each player in Guild Wars has access to only eight skills at a time so gaining more skills doesn’t necessarily make your character stronger. Players in Guild Wars don’t chase bigger numbers but instead seek more skills to provide adaptability. Players can even create PvP only characters with access to all skills for competitive PvP. These design decisions lead to communities that don’t fracture due to varying commitment levels. It’s one of the best perks about horizontal progression, but can also lead to players feeling like there’s not enough advancement to warrant continued play. Luckily, Guild Wars does not require a subscription fee. Up until this point, monthly subscription fees were the norm for MMORPGs. Free to Play MMOs wouldn’t become popular for a few more years yet. Thus if you wanted to play an MMORPG you had to pay a monthly fee. Guild Wars did away with that, in part thanks to the heavily instanced gameplay to lower server costs. Instanced content also allows developers to create challenges balanced around a particular number of players, at the cost lessening the massive part of the multiplayer experience. This has its pros and cons but certainly helped to define Guild Wars as one of the most unique offerings in the MMORPG genre. Continue with the Part 2 (2006 – 2015). This entry was posted in MMO Opinions, Top X Lists and tagged Allegiance, Asheron's Call, Dark Age of Camelot, Eve Online, EverQuest, EverQuest II, Final Fantasy XI, Furcadia, Guild Wars, Lineage, Nexus TK, Ragnarok Online, RuneScape, Silkroad Online, Star Wars Galaxies, The Realm Online, Tibia, Ultima Online, World of Warcraft on June 20, 2016 by The Bro.